We’re thrilled to open the orchard for the 2018 season and we’ve got tons of fun lined up this year, starting with our Easter event (March 31st). 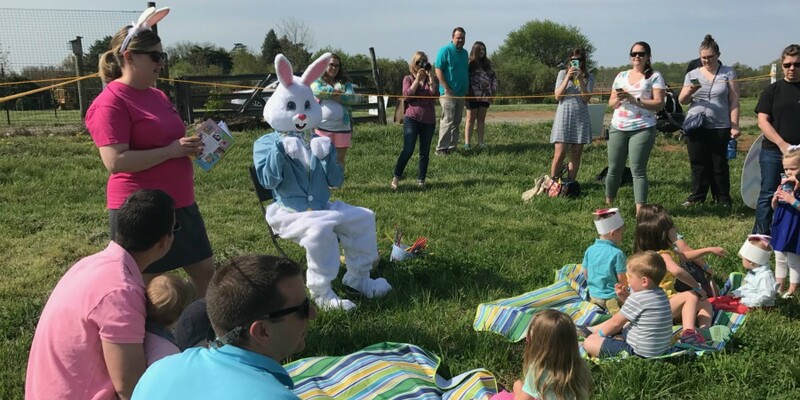 It’s our second Hop Into Spring celebration and we’ll have an Easter Egg roll, baby turkey poults from Kelly Bronze Turkeys, live music, crafts, and of course a visit from the Easter Bunny. We’re closed for Easter Sunday, but we’re rolling along right after! 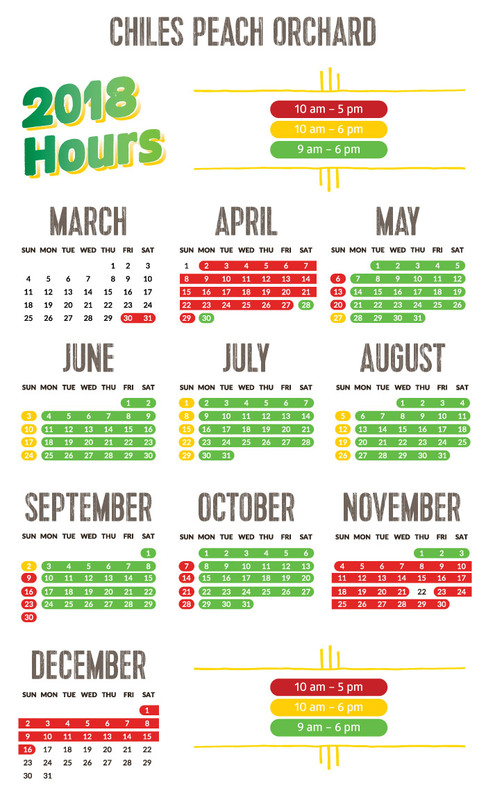 Check out our 2018 hours (and our new hours chart)! We can’t wait for all the fresh fruit our orchard has to offer, either. 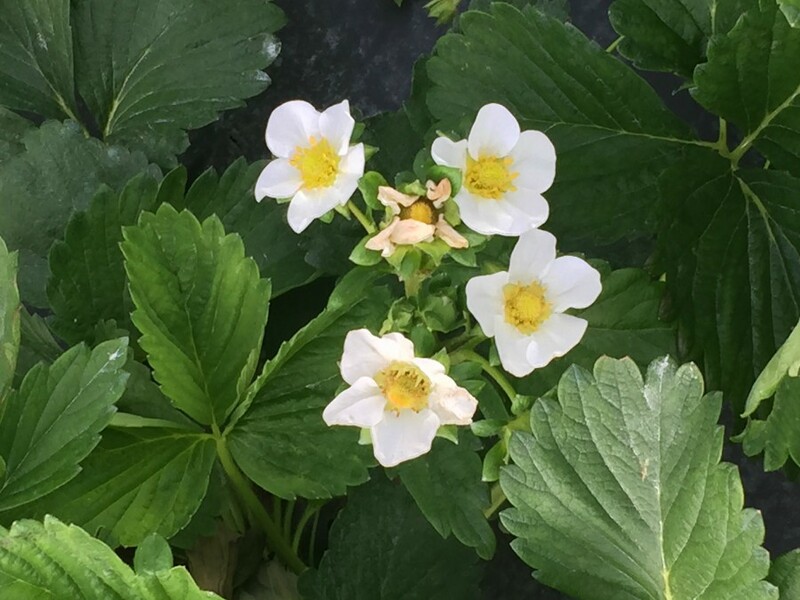 The asparagus is starting to come up and we’re hoping to see some juicy, ripe strawberries later this month. Check out our fruit charts so you can start making plans to come out for each fruit season to pick your favorite goodies. Keep up with the VERY latest picking and orchard updates with our daily #orchardoutlook posts on Twitter (@ChilesPeachOrch). We kept busy during the offseason attending industry meetings and trade shows. We had a particularly great time at the FamilyFun expo and we’re ready to help plan your group visit or field trip. Back at the orchard, we’ve been experimenting with new products and have several landscaping projects underway—no photos yet, so those you’ll just have to come out and see for yourself!